The Edwin B. 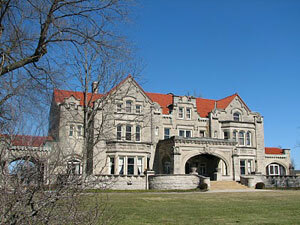 Ball Mansion at Muncie, Indiana. Edwin B. Ball was the third oldest of the five Ball Brothers who were all equally involved in the Ball Glass Manufacturing Company. Each of the brothers contributed heavily to the betterment of the Muncie area, including endowments to Ball State College. To view the results for any game, click on the date. To view the hands, contracts, opening leads, and makeable contracts, please click here. Thursday, January 19, 2017 - Richmond Club Ch.